The city of Walnut obtained its name from the Rancho Los Nogales Mexican land grant, nogales being the Spanish word for “walnut.” With exceptions to some busy intersections (such as Grand avenue and Amar near Mt. San Antonio College), the hilly and affluent city is relatively more quiet in comparison to nearby neighborhoods. The city covers nearly nine square miles (23 km2) and is home to more than 30,000 people and 600 businesses. Money’s Best Places to Live, “America’s best small towns,” ranked Walnut as #70 in 2009 and #57 in 2011, the highest ranking for a Californian city both years. The history of Walnut dates back to the Indians who were of Shoshone origin. They were called “Gabrielino Indians” by the Spaniards, who arrived in the early 19th century, because the Indians lived in an area controlled by the San Gabriel Mission. Walnut was primarily used for the grazing of cattle and sheep by the Mission. The first Mexican land grants in the Walnut area were those of Rancho San Jose granted to Ricardo Vejar and Ygnacio Palomares in 1837; Rancho Los Nogales granted to Jose De La Cruz Linares in 1840; and Rancho La Puente granted to John Rowland and William Workman in 1842. In 1868, John Rowland and William Workman divided Rancho La Puente, leaving Rowland the eastern half and Workman the western half. Rowland’s land included the western portion of Walnut. The land was used for raising cattle and growing wheat, grapes, and fruit trees. 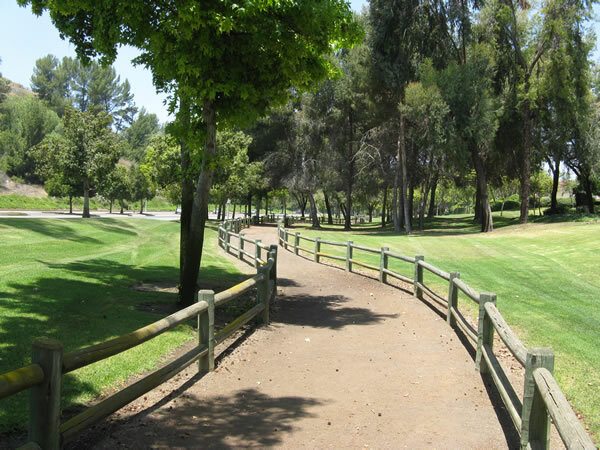 The City of Walnut’s Bicentennial Commission selected the construction of Lemon Creek Park and the restoration of the William R. Rowland Adobe Redwood Ranch House as Walnut’s bicentennial project. In 1871, the Lemon Creek Park area became the property of Sheriff William Rowland, who inherited the 29,000-acre (120 km2) ranch from his father, John Rowland. The modest structure built in 1883 served as the home of Mr. Meridith, ranch foreman for William Rowland. The adobe redwood ranch house is one of the few remaining original ranch style redwood and adobe structures in the area. On October 1, 1975, the State Landmark Committee placed the W.R. Rowland ranch house in the National Registry of Historical Places. Portions of the western side of Walnut are also served by the Rowland Unified School District. All information about Walnut courtesy of Wikipedia.